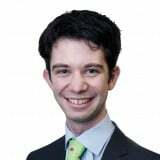 10:30 Join us again at some point in the not too distant future for another insidethegames live blog but, for now, it is thank you and goodbye. Or rather, "xièxie, zài jiàn". "An absolute brilliant spectacle if somewhat frustrating at times. 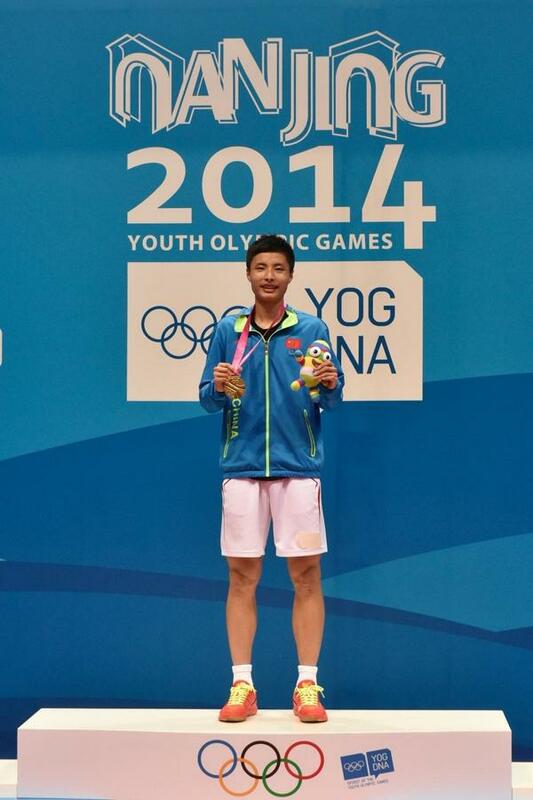 That's how I would wrap up the Nanjing 2014 Summer Youth Olympic Games. Everything you'd expect from the Chinese in terms of a show. Big, extravagant and numerous. The volunteers were, as usual, amazing. Always friendly, always willing to help, even if this help took longer than one might expect. Nanjing has been a great Games. A real credit to the city, the organisers and the IOC. Transport was at times a pain in the back side but that seems to be something that comes naturally with a major sporting event. The sport was great, if sometimes bizarre, the atmosphere was great and it was really just a privilege to be here." "Having come here 12 months ago for my first overseas trip on insidethegames duty, Nanjing is somewhere that wielded poignancy for me before these Games even began. And I have to say, I'm not sure when I will next be in this historic corner of Jiangsu Province but I will recall it warmly whenever I think about it. Although it is certainly not the easiest environment to work in, with information hard to find even when you get beyond problems accessing the internet, and the transport system very tricky, the warmness of everybody, but especially the volunteers, has been a joy to behold. I enjoyed some of the sport, but most of all I enjoyed the meeting people, immersing myself into some limited aspects of Chinese culture and experiencing the Olympic Movement in all its normal glory, but in a slightly cosier and more accessible environment. I have no idea how long the Youth Olympics will be around for, and the noises you hear behind the scenes are very different from those uttered in public. But whatever their future path, Nanjing 2014 has, in my opinion and in the opinion of so many other people, been a huge success. 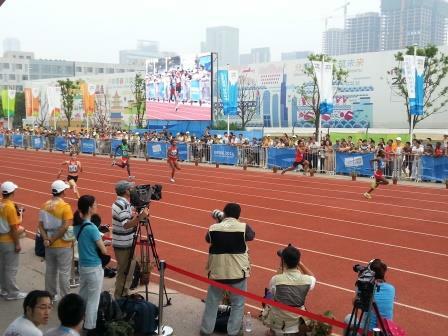 A great advert for China, the Olympics and the future of sport." 20:23 Here's a slightly better picture of the Flame being extinguished...And with the Olympic Flame now out, we are going to wrap up our coverage here on the insidethegames live blog, after an 12 day festival which, I for one, have enjoyed far more than I ever expected. 22:18 The general verdict was that the Closing Ceremony was a good one, with the balance between what was spectacular, what was meaningful and what was enjoyable achieved well. Our observer was also disappointed, as was I to be honest, with the Buenos Aires 2018 section which, Lionel Messi apart, was lacking, well, just about anything really. "It was the first time since Los Angeles in 1936 that a Mayor was not present for the handover", I am told, although, "of course, in 1956 Squaw Valley did not have a Mayor." 22:12 Quite remarkable. After, just, holding out for the entire Ceremony, in the 15 minutes it takes us to walk back - mostly indoors or under cover - to the confines of the Media Centre, the heavens well and truly open, and by the time we get to the door we are having to wade through puddles. Considering it would have been virtually impossible to type if the weather had been heavier, we were very, very lucky. 21:46 Volunteers on glowing bicycles are also peddling past. It's not quite the kangaroos on bicycles seen at the Sydney 2000 segment of the Atlanta 1996 Closing Ceremony, but it is pretty good. An announcement in fairly frenetic Chinese and it seems like this really is the end now. 21:41 Pebbles are being thrown into the audience. Not of the hard, rocky type you will glad to hear - that would be quite painful - but of the cuddly, mascot form. My colleague Paul expertly catches one, but passes it on to a more deserving spectator in the row behind. A good gesture. 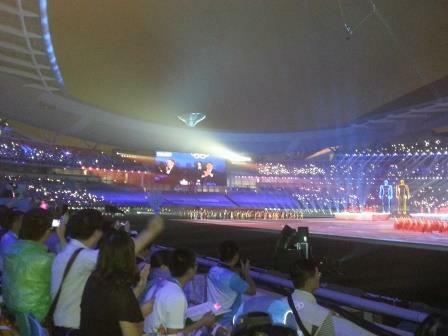 21:38 "Light up the Future", the official Nanjing 2014 song, is playing, as Nanjinglele's appear from the corner of the Stadium. Flags, volunteers and a wave of light and colour has also appeared on the stage since I last looked up. 21:24 Next we have a segment honouring the volunteers. It feels like this has happened already, but this is actually the dedicated recognition. 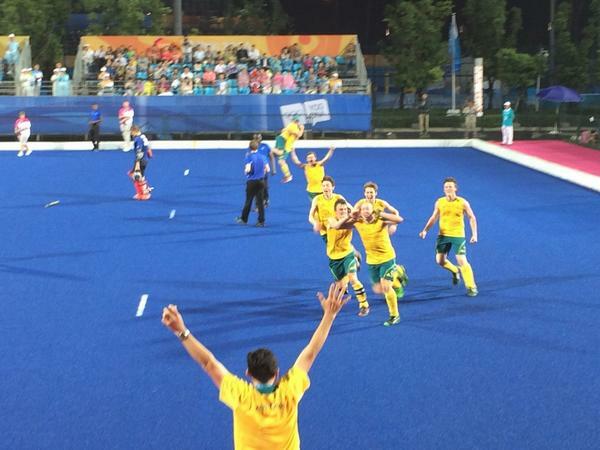 And more than at any other Games I have attended, these Youth Olympic ones really have earned it. One told me last week, rather proudly, that he had "managed one hour of sleep last night". He added that he was hoping for "three or four" the next night. 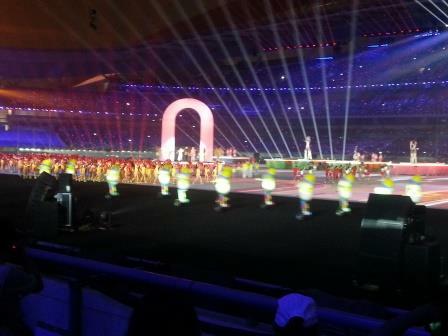 They run out from both ends of the Stadium, forming a heart shape before singing a song called "Chinese Card". 21:18 I recognise this one, as hear Latin American music, another nod to the location for the next edition of the Summer Youth Olympics, Buenos Aires 2018. It has the Paul Osborne seal of approval. The belly dancing we are now seeing reminds him of a rather uncomfortable dinner he had in Russia recently...he tells me. 21:08 A song I recognise as "Halo" by Beyonce is played. She is not here in the flesh though...unfortunately. It is being sung however by Jike Junyi. 21:02 Now we have a homage to one of Nanjing's most famous buildings: Confucius's Temple. A group of dancers, representing the Lotus Lanterns are drifting around the stage, which is itself representing the Yangtse River. 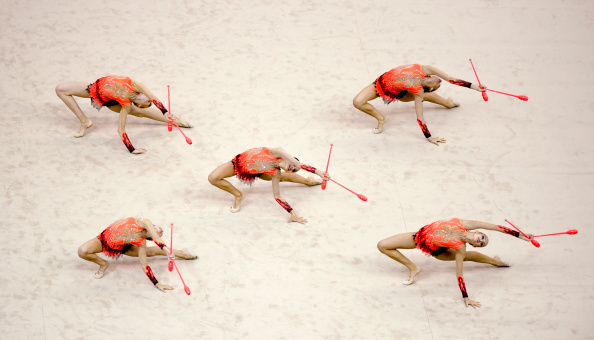 They are wearing amazing pink costumes, which open and close to represent the shining of a lamp. Looks more like the petals of a flower, from my standpoint. But no repeat of the Australian stage invasion see during the Closing Ceremony of the Commonwealth Games in Glasgow earlier this month, where steeplechaser Genevieve LaCaze got on stage during the performance of Nanjing 2014. 20:52 The letters N A N J I N G appear after a giant tablet across the floor is swiped. The N then stands up to represent the city gates. - Nanjing 2014 add their thanks to the volunteers. 20:44 The Buenos Aires 2018 video is rather short and sweet, and there is no proper segment for the next host city in the Youth Olympics, unlike in the senior Games. But a huge cheer from the crowd as a certain Lionel Messi pops up to conclude the message! There can't be that many Western sportsmen who would be that instantly recognisable in China. Presidente COI Bach cierra los 2° Juegos Olímpicos de la Juventud @nanjing2014yog e invita a participar en los 3° JOJ en BuenosAires2018!! - Buenos Aires 2018 tweet their excitement. 20:42 Another "why am I not standing up moment" as the Olympic Anthem is played, and then we have a promotional video for Buenos Aires 2018. 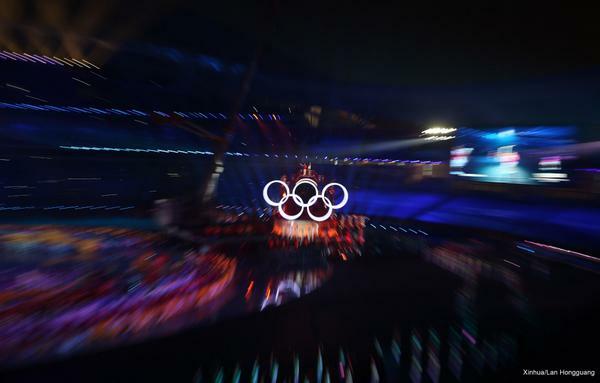 20:36 He then declares the 2nd Summer Youth Olympic Games closed. Cue more fireworks. And more flag waving. "We will welcome a next generation of young athletes to Buenos Aires 2018." 20:35 After praising the "flawless organisation", Bach concludes. 20:31 "Now it is about this Olympic Community we have built, it is about the many friends we all made. "So again I ask everybody here in this stadium: get your smart phones out - but today do not take a selfie. "In the Olympic Spirit greet and thank the person next to you and take their picture. Share this token of friendship with the world and post it with #Nanjing2014." 20:27 "Amazing performances bear witness to your passion and dedication, congratulations on your great performances," Li says to the athletes. The "amazing ideas" of the Organising Committee as well as the "dedication" of the volunteers, are praised next. 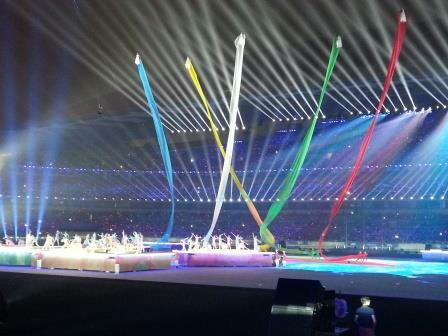 20:22 Next we have the speeches by Nanjing 2014 President Li Xueyong and the IOC President. And just who is the IOC President? Why, he's the "Olympic champion, fencing, 1976." No Montreal, or team foil then, this time. 20:20 And then it is the Athletes' Oath, read out by a young member of the Chinese swimming team: Yuhan Qiu, we think, but not 100 per cent sure...No, it is actually five-time gold medal winning swimmer, Shen Duo. 20:18 There is a nice recognition of the Youth Olympic Games volunteers now, as six representatives receive flowers from six athletes. 20:13 Very poignant the participation of those African countries as the Ebola epidemic continues. Scroll down to the bottom of this article to see Thomas Bach's reflections on what he described as a "major issue" at the Games. 20:11 Much more upbeat music now as the procession continues. 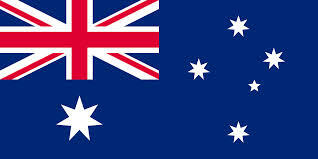 The Flags of Sierra Leone, Liberia and Guinea should all feature here, although the Nigerian flag will not. 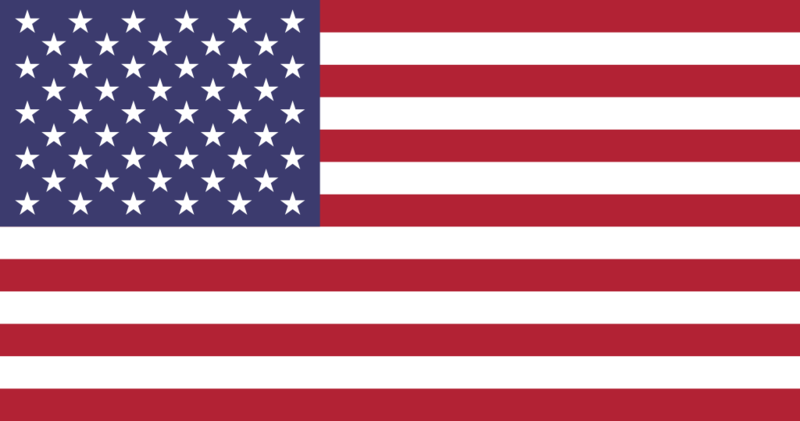 My colleague Paul is making flag mistakes now, spotting a Liberian Flag that turns out to be the US one. They are very similar, to be fair, and there is Liberia, close behind the remarkably similar Malaysian one. 20:07 Once again, I feel I am the only person not on my feet as the Chinese National Anthem is played, but, hey, it's not easy doing a live blog standing up. Some strong and enthusiastic singing from the row behind me. 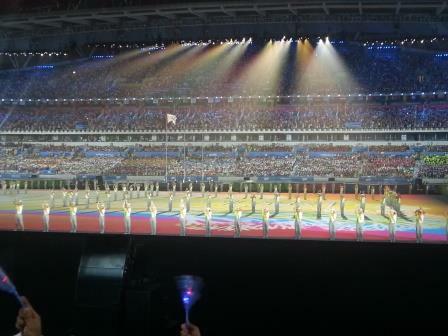 20:04 The Flag of the People's Republic of China enters the Stadium and now it is the turn of the Olympic Flag. 20:00 An explosion of fireworks and the Closing Ceremony is underway. There will be 800 fireworks used tonight, and around 30 different varieties, we are told. 19:56 A huge cheer to mark the arrival of Chinese Premier Li Keqiang and International Olympic Committee chief, Thomas Bach. And what's this, unless my ears mistake me, there is no "Olympic champion, team foil fencing, Montreal 1976..."
19:51 Australia's 400m champion Jessica Thornton, will carry her country's flag, while, unsurprisingly, the British one will be carried by Giarnni Regini Moran, the triple gold medal winner in gymnastics. 19:46 In our packs that we have on our seats here, there is a luminous pink star and a hand shaped clapper. Not a great description but you get the gist... 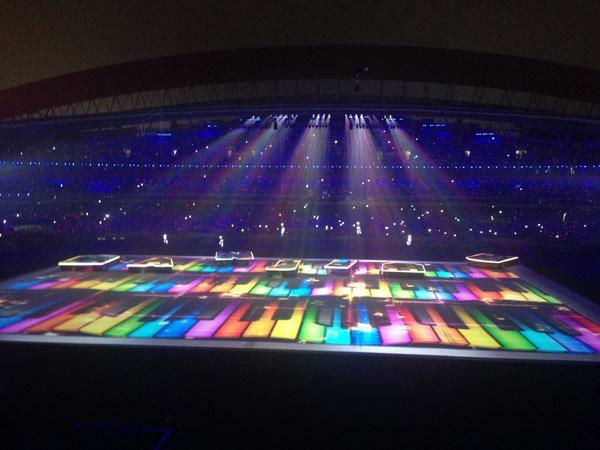 Anyway, everyone is now asked to clap and wave, and there is an amazing audio and visual affect around the stadium. 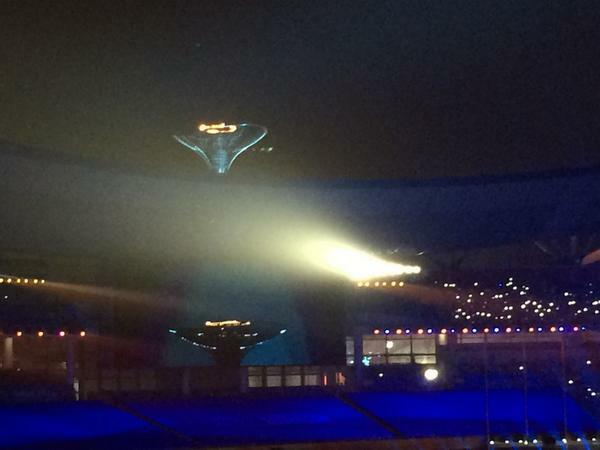 The Olympic Flag and Olympic Flame are lit up brilliantly against the light, however, which is a beautiful sight. And, grasping yet more wood, the drizzle seems to be easing...Slightly. 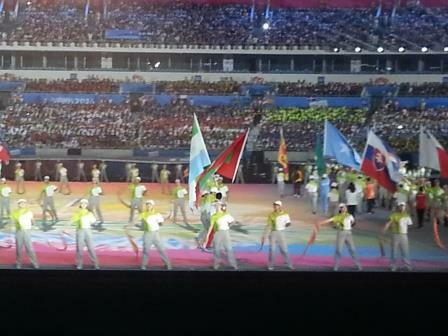 19:41 Less that 20 minutes to go until the Closing Ceremony of Nanjing 2014 is underway. Some good work in stirring up the crowd by the announcer and there is a great atmosphere in the stadium now. A stadium that is virtually full, incidentally. "Our athletes claimed 37 golds, 13 silvers and 13 bronzes as they participated in 28 sports and 91 events, which ranked the first in the Games," said Xiao. "They also took part in mixed competition of 15 events in 12 sports and collected two golds, two silvers and one bronze. We created nine world junior leading time in the Games. Our athletes also took part in many social and educational activities and communicated with athletes from other parts of the world, The eight swimmers collected 10 golds, five silvers and two bronzes at the Games, and Shen Duo won the most with six golds. We also won six golds in track and field." - Xiao Tian, China's deputy Chef de Mission, praises the team. 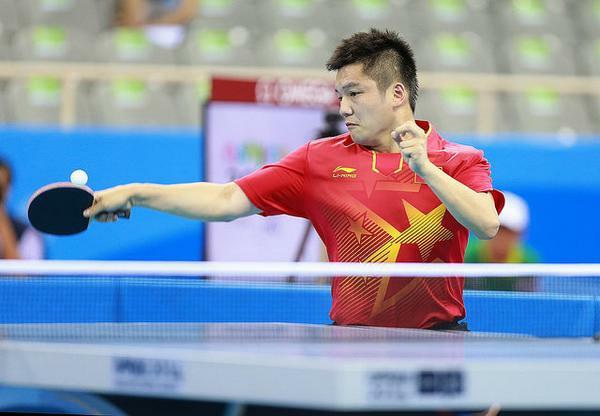 19:32 Badminton men's singles winner Shi Yuqi will carry the Chinese Flag, it has also been announced. 19:28 A fitting time to begin introducing our Flagbearers as they have just told us to "make a big cheer to welcome all the Nanjing 2014 athletes!" A few spots of rain in the air. Not idea for us, as we are a lot further forward, and therefore less under cover, that we were for the Opening Ceremony, but hopefully it will hold off. 19:25 Women's rugby team co-captain Richelle Stephens was selected to lead the 92-member US team here tonight as Flagbearer, as announced today by the United States Olympic Committee. Stephens was chosen by a vote of fellow members of Team USA. "I'm really excited to represent Team USA and equally excited to represent USA Rugby, since it's the first time women's rugby has been on an Olympic program of any kind," she said. "It's starting a new frontier, and I can't wait to cap this journey by carrying our flag into the Closing Ceremony." 19:12 So, I am safely in position, four rows from the front of the stage here for the pre-show. The atmosphere is bubbling up nicely already with the stadium around 80 per cent full, I would venture. Most of the athletes are already seated in the area opposite the media stand. 18:59 On that note, I am going to head out into the stand to get my position with one hour to go until the Closing Ceremony. Will be back in a tick! 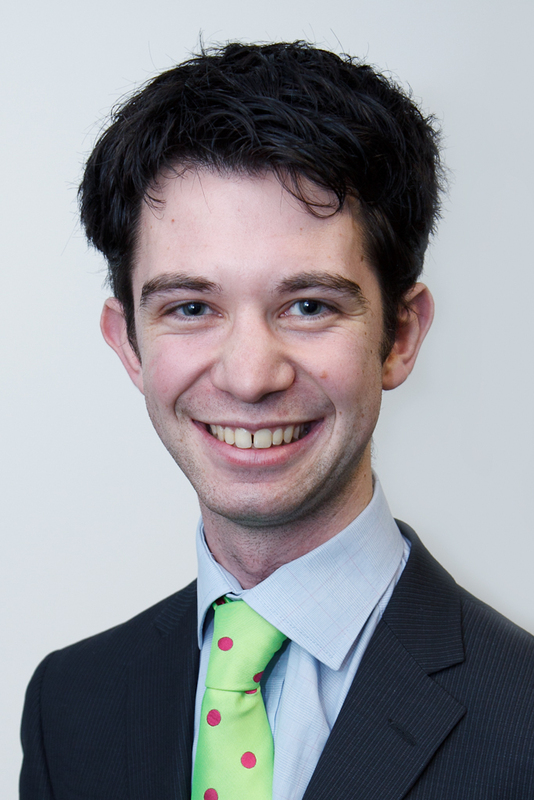 Should the Youth Olympics continue? 18:54 But although we have heard positive message after positive message about these Games, behind the scene there is a lot of talking going on about the future of the Youth Olympic concept. Are they the best and most cost efficient way to attract young people to participate in sport? We have a new poll on this very subject. 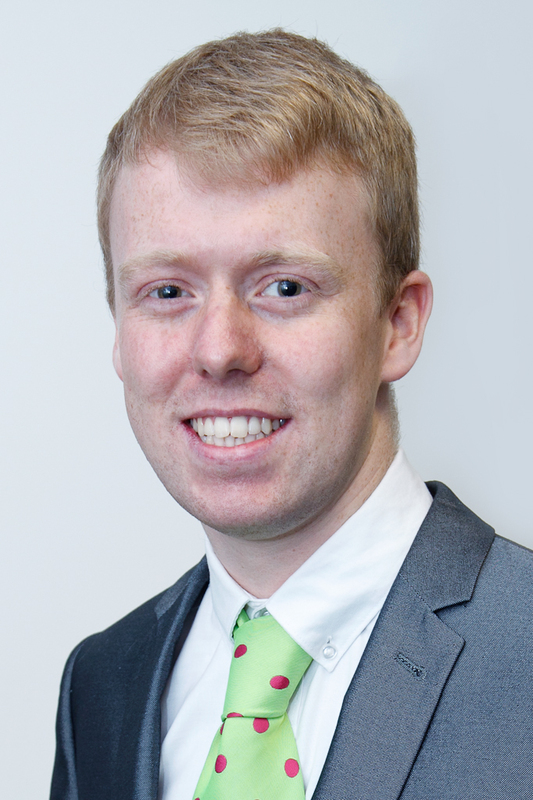 "Following the Summer Youth Olympic Games in Nanjing, do you think the event should continue beyond Buenos Aires 2018?" Click here to cast your vote. 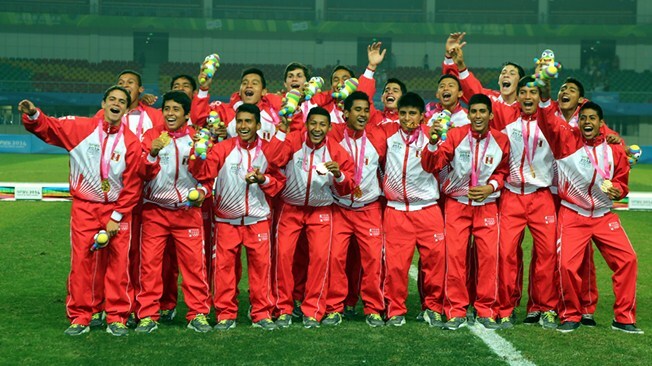 What has been your Nanjing 2014 sporting highlight? Tweet us or comment below. 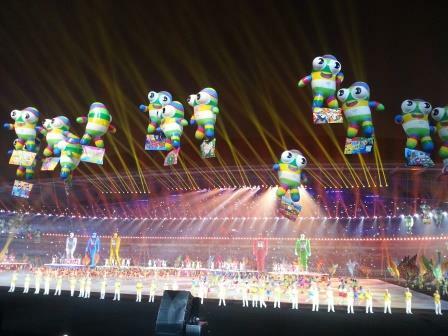 "One ubiquitous fixture found throughout the venues of the Nanjing Youth Olympic Games and all of Nanjing is the playful mascot known as NanjingLeLe. 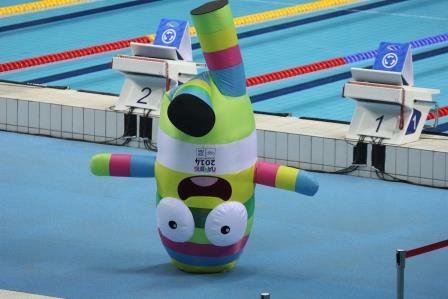 The official Nanjing 2014 mascot was chosen following a nationwide mascot design competition launched two years ago. More than 1.2 million students across China participated in the competition, but in the end, the NanjingLeLe design by 25-year-old college student Cui Xinye was chosen. The character of NanjingLeLe was inspired by a unique natural feature of the host city, Nanjing, known as the 'Rain-Flower Pebble', or the 'Riverstone'. The word 'lele' represents the sound of stones colliding together and is pronounced like the Chinese word for happiness or joy." 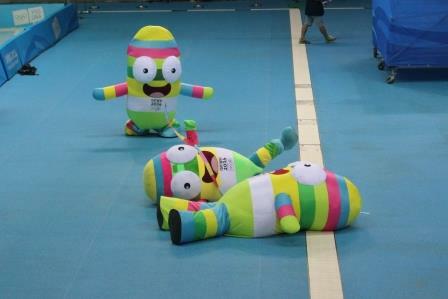 - Nanjing 2014 provide an update on NanjingLeLe. 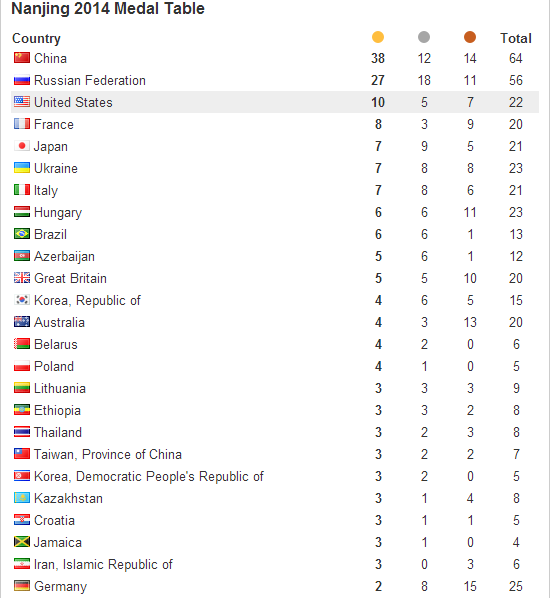 18:37 While it is thoroughly against the culture of the Youth Olympics, and my colleague Paul received a slightly brusque response by Gilbert Felli, IOC Executive Director for the Olympic Games, when he dared to broached whether there should be a medals table at a press conference a few days ago, here is the final medal standings anywhere. Below is the top 25, with the full list available here. This does not include mixed international team results. 18:29 Seeing so many different countries winning medals has also been great, from Comoros in the 8x100m relay, to El Salvador, to Moldova, to a Zambian victory over 100m. 18:25 It has been my only disappointment of the Games that I have not been able to see more live sport, but I have still had a good fill, with beach volleyball and golf two very different sports I have never watched live before but enjoyed immensely here. I think my personal highlight was the Fang Zhendong v Yuta Muramatsu table tennis clashes, in the singles and team competitions, although the girl's archery final was another cracker, as were both gold medal matches in hockey 5s. - FIFA chief Sepp Blatter was not here in Nanjing, but tweets his congratulations to the final gold medal winners of the Games...And this photo. 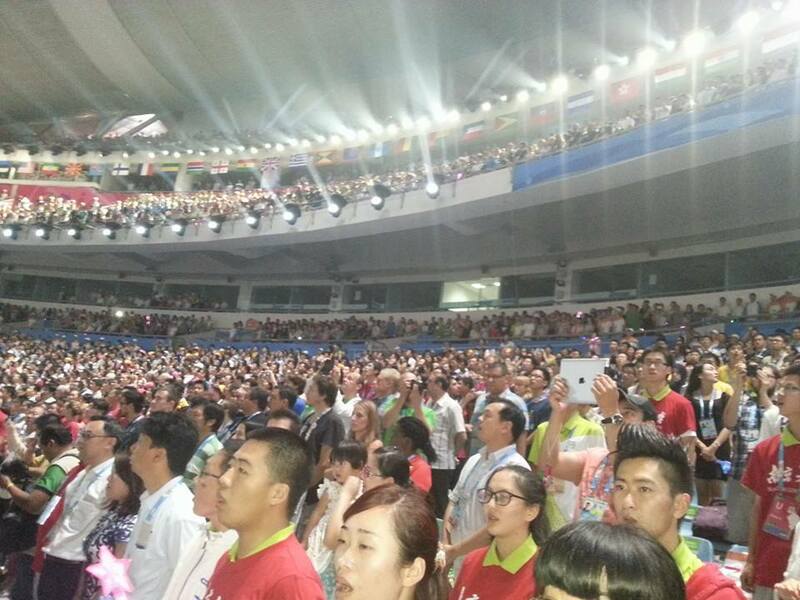 Nanjing 2014: the "selfie" Olympics? 18:15 "Selfies" have played a major role in these Games, particularly for Bach who has had to take them virtually where ever he goes. "That was fun. I would never have expected such an impact in the Opening Ceremony. I still remember the first discussions we had in the IOC when the communications team tried to come up with the idea, and they did not dare to ask whether I would consider it! 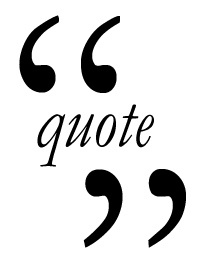 But I liked the idea from the beginning and the only discussion was when and how to do it, and I decided to do it at the beginning as it would have such an impact." 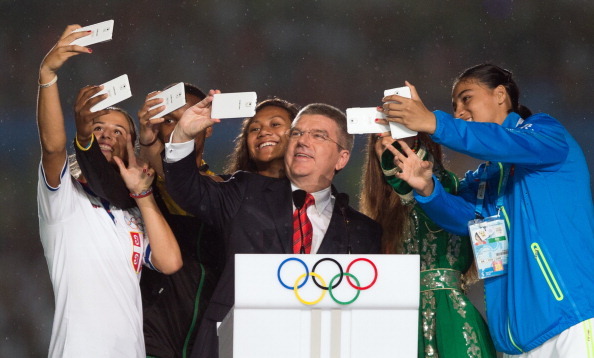 - IOC President Thomas Bach reflecting on his decision to put "selfies" at the centre of Nanjing 2014, during his closing press conference earlier today. 18:11 I'm happy to report that the rain which dogged the build-up to the Opening Ceremony is absent on this occasion. There is much lower key build-up this time around as well, as you may expect, with no checking of tickets at all so far, although I have admittedly not yet ventured away from the venue media centre to the actual stands. A column of soldiers walks passed me on my way in as well. I whip my camera out to get a photo but swiftly realise that is probably not a wise more. I wonder what role they are going to play in tonight's proceedings? We have been promised that, one again, selfies will play a role tonight. See our preview here. There are very few spoilers in it, you will be glad to know. 18:04 It will not be one to be missed, as after 11 days of sport, it is the Closing Ceremony in the Nanjing Olympic Sports Centre! There are still two hours to go until the main event begins at 20:00, but there is a pre-show beginning at 19:00 and, until then, we will be bringing you all the previews of what is to come as well as a round-up of all the sport we have seen over the last 11 days. 18:00 Good evening and welcome to our final live blog of the Summer Youth Olympic Games.